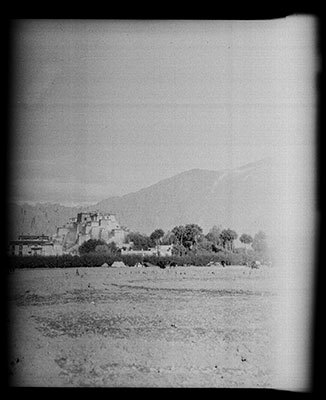 The Potala from the east with fields in the foreground and trees at the base of the hill. The Tibet Album. "Potala from the east" 05 Dec. 2006. The Pitt Rivers Museum. <http://tibet.prm.ox.ac.uk/photo_2001.59.8.8.1.html>.